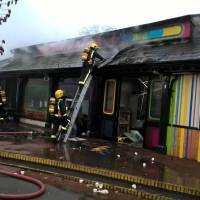 LONDON - An aardvark and four meerkats were killed after a blaze tore through part of London Zoo early Saturday, shutting the British capital’s popular tourist attraction for the day while staff assessed damage. The zoo said on its website Sunday it will operate normally, including visits with Santa. It says fire experts are confident the zoo can operate safely. 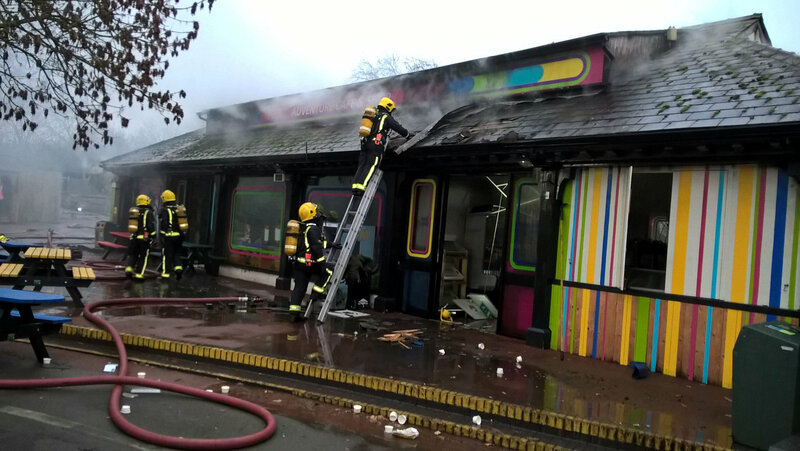 The fire broke out shortly after 6 a.m. Saturday at the zoo’s Animal Adventure section before spreading to an adjacent gift shop and cafe, near to an area where visitors can handle and feed animals, the zoo and London Fire Brigade said. More than 70 firefighters took three hours to bring the fire under control while desperate keepers who live on the site in Regent’s Park in the center of the city moved animals to safety. Some of the staff needed treatment for smoke inhalation and shock. Nine-year-old Misha, an aardvark, one of the attraction’s best-loved animals, perished in the fire, as did four meerkats, Dominic Jermey, the zoo’s director-general, said. “We’re absolutely devastated that Misha the aardvark has been killed,” he told BBC TV. He said no other animals were affected. The attraction, the world’s oldest scientific zoo which dates its origins back to 1826, houses 20,166 animals, according to its inventory carried out earlier this year. The fire brigade said it sent 10 fire engines and 72 firefighters to the scene and added that the cause of the blaze is under investigation.